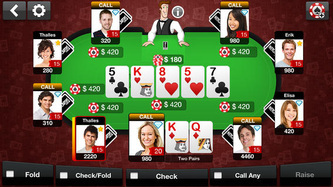 Play for Fun poker games have become increasingly popular thanks to their integration with Facebook and ubiquitous smartphones like the iPhone, Samsung Galaxy or Nokia Lumia. Here is our guide to the best play for fun poker games on the market. ﻿The technological advancements of the iPhone have meant that the mobile opportunities that companies have through the power of apps has grown exponentially. 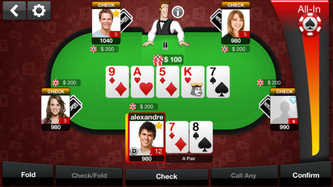 One of the biggest increases we have seen is that of play for fun poker apps which again, has grown alongside the success of the iPhone. Whilst these sorts of games target a very different audience compared with say real money poker games, we will still be looking for a high quality product and also somewhere where a poker player starting out can learn their trade. 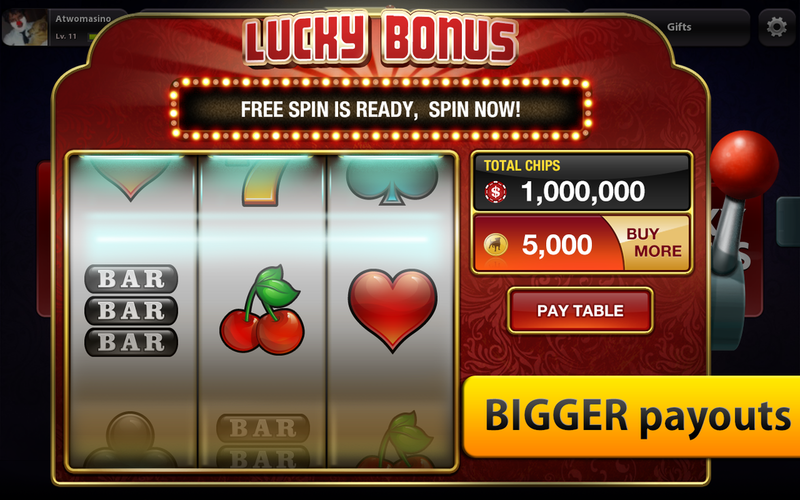 Zynga has quickly become one of the biggest gaming app producers in the world. 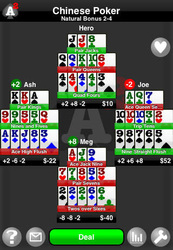 They are probably best known for the blockbuster game, Words with Friends, but within the poker community, their mobile poker app is undoubtedly one of the biggest. 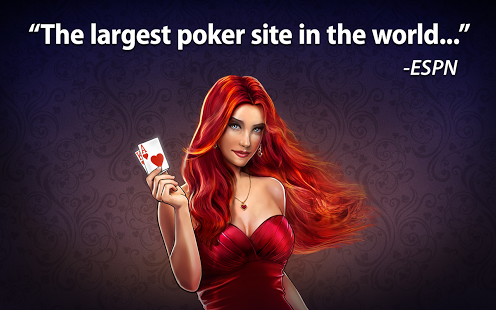 Rather impressively, the app has over 150,000 players online at any one time, of which the majority of real money poker sites could only drool at numbers like this. 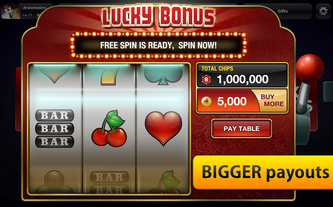 It’s likely their integration with Facebook that has allowed them to achieve these numbers, but this sort of affiliation just goes to show how highly regarded this play for fun iPhone app is. Probably the most impressive thing about Zynga Poker is their inclusion of both regular Holdem tables and also Jump Poker (which is basically their version of speed poker). 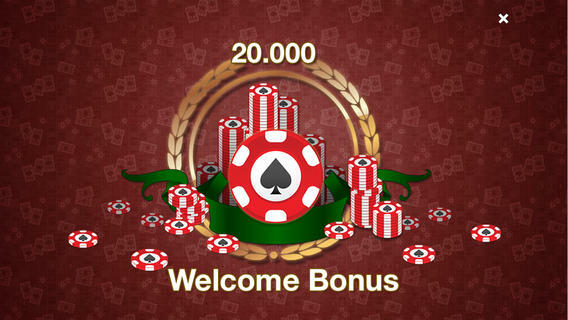 You can select your buy in amount, and once your account is linked up to your Facebook account, can get playing instantly. Once into the tables you will be able to see a really well designed table that not only looks better than most, but also functions better than most. The speed of the games were really quite impressive and even though the limited iPhone screen is not quite as effective as say, the iPad version, the app still looks and performs better than we could have probably expected. 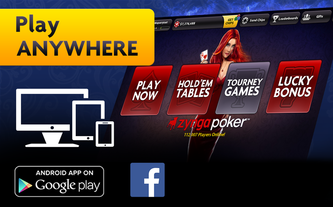 It’s pretty obvious why Zynga have become one of the leading free to play poker apps in the world. 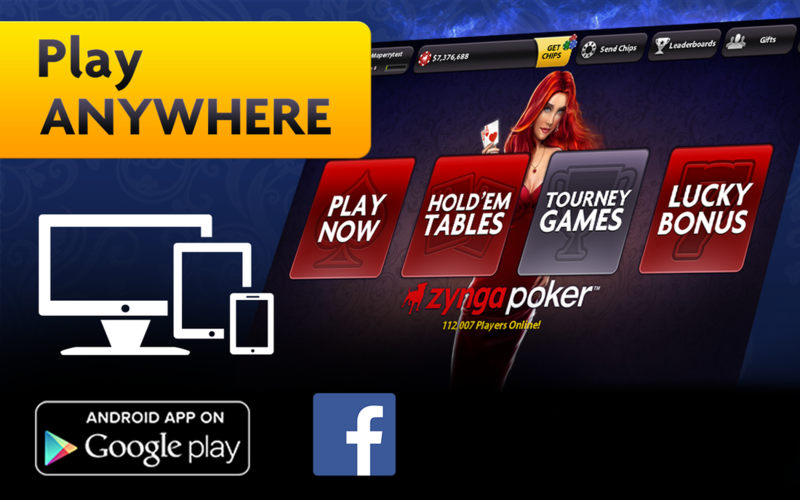 There are poker rooms with much larger budgets than Zynga who would kill for an app that looks, performs and feels as good as this one does. 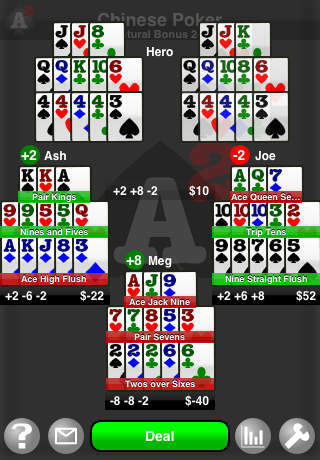 The Jawfish Poker app allows you to play over their network or simply against a computerised opponent. The game works a little differently than most iPhone apps. Instead of simply playing your usual 6 or 9 handed poker tables, Jawfish Poker actually puts you in a pool of players where you play each player heads up for one before then being randomly distributed to another hand. 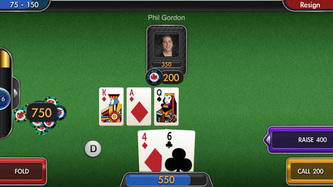 This makes for the gameplay to run very smoothly and the speed in which you get through hands is also very large. 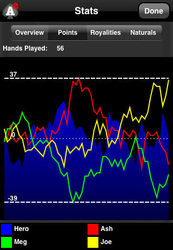 The progress of each player can be seen on the tables and you can see how well you are faring compared to that of your opponents. 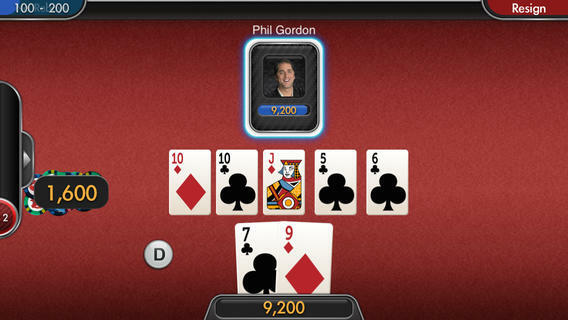 On top of that, the app allows you to enter tournaments where you must be the last person standing to knock someone out. 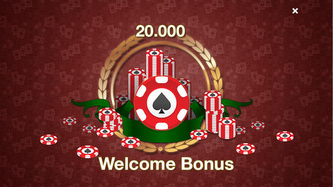 This will incur an entry fee, but as your account is linked to Game Centre, then the chips that you win or lose will be continuous. 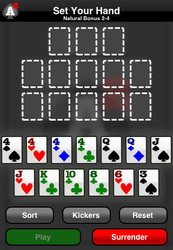 Alternatively you can set up a private game where you can play with your friends. 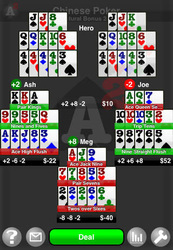 We actually found this version to really be great fun and a group of about 8 of us decided to spice it up a little with a series of side bets. 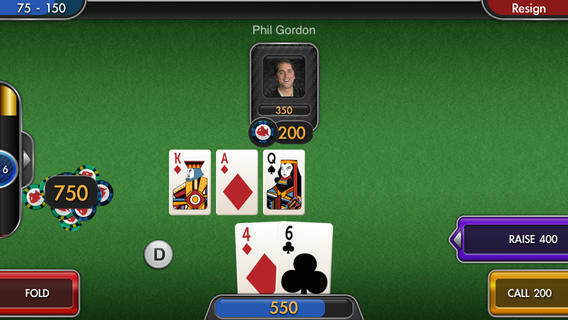 This sort of poker comes in especially handy when you don’t have any chips or cards on offer to play ’live’. 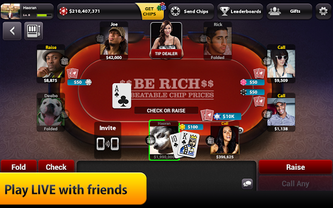 The layout of this app is really great and the design, once sat at the table, is again very good. Watch the video below for a demonstration. 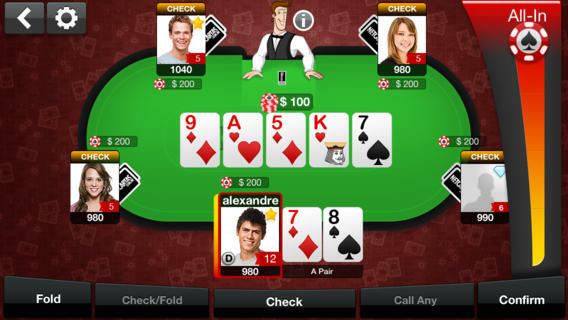 The Chinese Poker app is a little curve ball we have thrown in this article for good measure. As you will be aware, the majority of apps we test are Texas Holdem based, and that’s just because it’s the most popular game and probably easiest to develop. 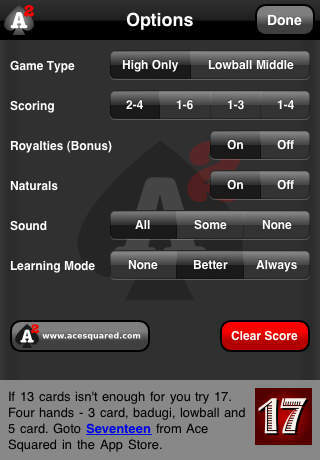 But we have found an alternative game in Chinese Poker, of which we really like to play. This app works a bit more on the arcade side of poker apps, where you travel around the world trying to defeat players in order to proceed. 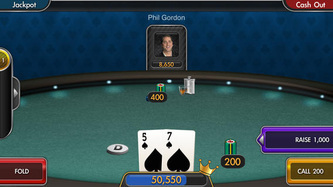 The first stop is in Las Vegas, but this is a tutorial which is ideal for those of you that aren’t familiar with the game or want to brush up on your knowledge of Chinese Poker. If you haven’t played it yet, then it’s really a great game and worth a shot! The graphics are again a little ‘arcade-y’ but this isn’t necessarily a bad thing and there isn’t really anything wrong with it. Whilst this app doesn’t have the sharpness of the two we have mentioned above, it certainly works really well on the iPhone screen. What was best about it is that it was different from the majority of apps, and when you have tested as many as we have, diversity is definitely something that’s lacking in this industry. 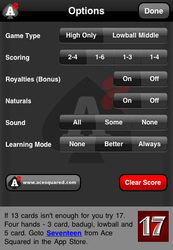 Not the most polished app, but a great effort and one of the apps we have had the most fun on so far. Pix Games have been one of the leading app developers in the iPhone market for a number of years now. 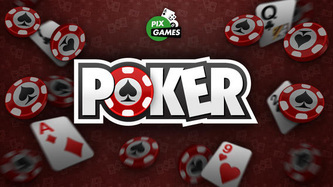 Their Poker addition has certainly come as surprise to most, but nevertheless, the have kept up with their timely traditions of creating fun, good looking mobile apps with their poker variant. As with most of their apps, this is fully linked to Facebook, which Is probably one of the main reasons as to why it’s become so popular. Admittedly the game is a little limited. 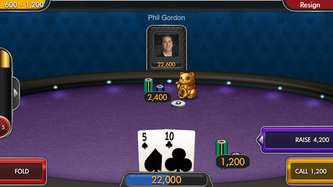 You can either dive into a cash game or play a sit and go, but in terms of options, features and functions, that is pretty much as far as this boat sails. 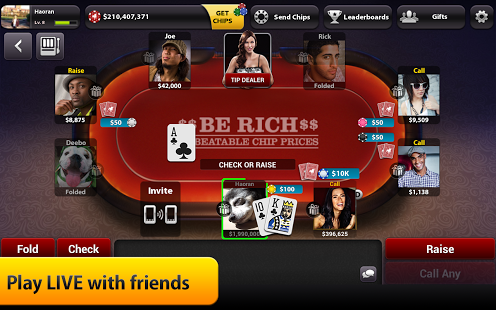 The fact that this app leaves us a little empty is probably a sign of how many good free to play poker apps that are out there these days. 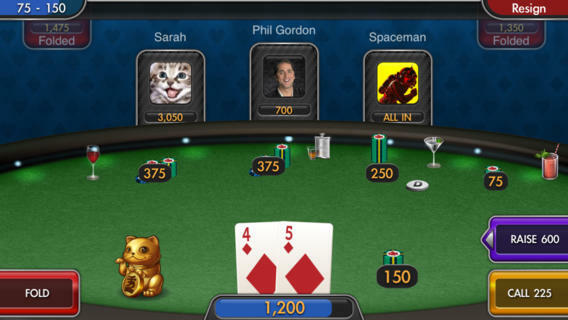 A few years ago this app would easily be one of the best, but the introduction of apps such as Zynga Poker has really set the bar high. 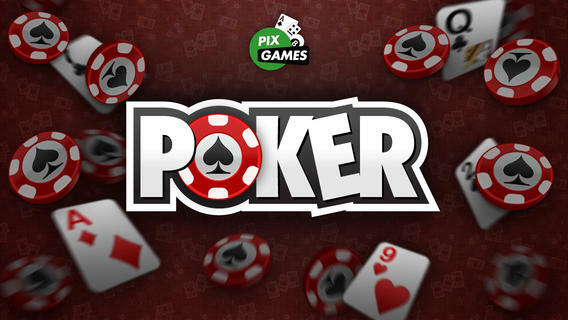 Whilst there’s nothing wrong with Pix Games Poker, the app does seem a little short, but it still provides a decent amount of fun, if only for a limited time.